A few weeks ago, fans of the Georgi Bulldogs thought their team was on its way to the College Football Playoffs. They were ranked No. 1 in the country. They were playing like a team that was going to remain No. 1 in the nation, and—well, life was good. They just had to keep winning games, including the SEC Championship. But then they played Auburn. Auburn was no joke, and they knew it. The Tigers were the No. 10 team in the country at the time for a reason. They had a great defense, a strong running game, and a quarterback that seemed to be getting better and better each week. If the Bulldogs were going to beat them, they would have to bring their A+ game. Instead, they brought their C- game. The Georgia defense couldn’t stop anything the Tigers tried on offense. Auburn quarterback Jarrett Stidham completed 16 of 23 passes for 214 yards and three touchdowns. Kerryon Johnson led the way for an Auburn run game that gained 237 yards with 167 on 32 carries. 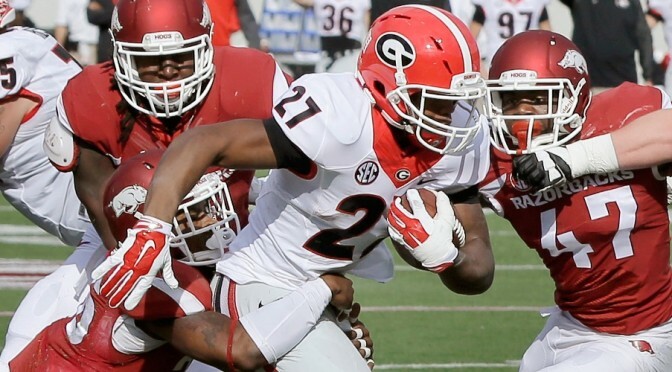 Jake Fromm didn’t have a terrible day (13-28 for 184 yards and a touchdown), but Nick Chubb and Sony Michel combined for just 48 yards and one touchdown. Since they have never played against Stidham, maybe you could say the Bulldogs were not prepared for what they say. But they can’t say that now. They can say, that should they win, they belong back in the CFB Playoff picture. However, depending on how the other key games of the weekend play out, it may not matter. Georgia has one of the best defenses in the country. They are ranked No. 4 in total yards allowed (271 yards/game), No. 12 against the run (112.5 yards/game), and No. 3 against the pass (159.4 yards/game). They have held opponents to an average of 13.8 points/game (No. 5). They should be able to handle the 20th ranked offense in the country. But the couldn’t last time. If Georgia tried to stop Johnson, they left themselves vulnerable to the pass—and Stidham made them pay. If they focused on stopping Stidham, Johnson ripped off a nice run. Since then, the Auburn offense and defense has played even better. So why should anyone believe Georgia can win this time? If you ask the pro-Georgia crowd, they’ll say because the team has had plenty of time to study the tape and figure out how to beat them. They’ll say the team wants revenge and will be motivated to get the job done this time. So, being ranked No. 1 in the nation wasn’t enough motivation to play better the first time? Emotion impacts the first seven minutes of a game. After that, it is all about who plays a better football game. Georgia needs a break to win this one. They need Stidham to throw a couple of interceptions (he’s thrown four this season). It would help if Johnson and/or Kamryn Pettway were not healthy enough to play or if they left the game early. They need a few Auburn defenders to miss the game. Georgia is statistically better in many categories because of their competition. They played some teams that were offensively-challenged, which inflates the numbers and makes the team look better than it is. The Bulldogs do have a good defense, but not as good as fans like to think. Auburn, on the other hand, is better than the numbers say. They’ve done what every coach dreams their team will do every season—get better as they go. Auburn is favored by only three points. If Johnson does not play, take Georgia and the points. 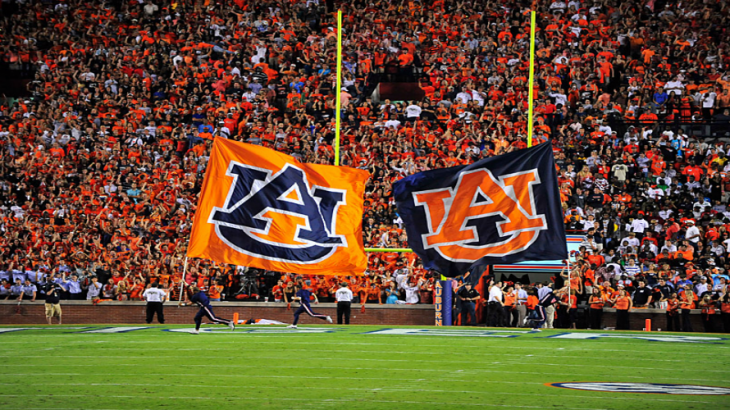 Should Johnson play, go with Auburn. They’ll win by at least ten.